Hard work is its own reward, but sometimes it’s hardly work and the reward can be amazing. 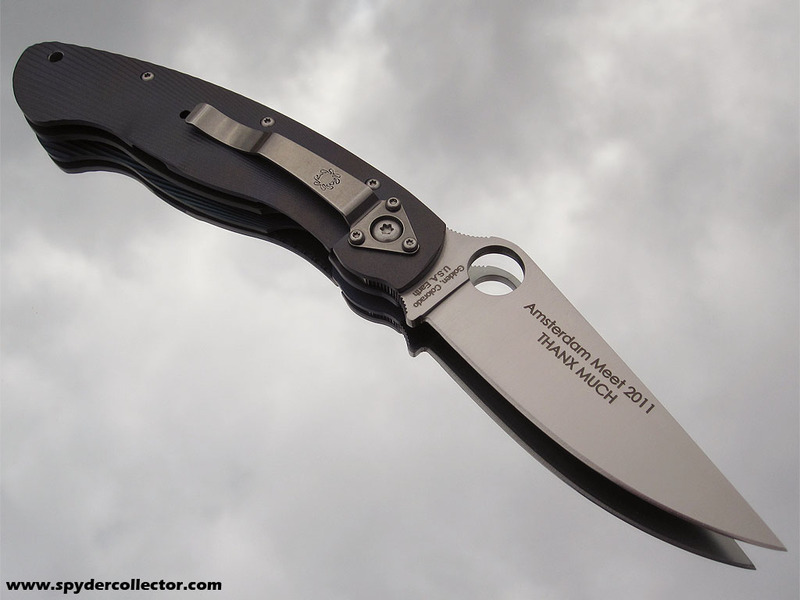 I got this wonderful Military with fluted titanium handles recently and it is an amazing piece. The fluted pattern on the handle transforms this otherwise large ‘working’ folder into an elegant gentleman’s knife. However, the ‘fluting’ of the titanium handle does more. 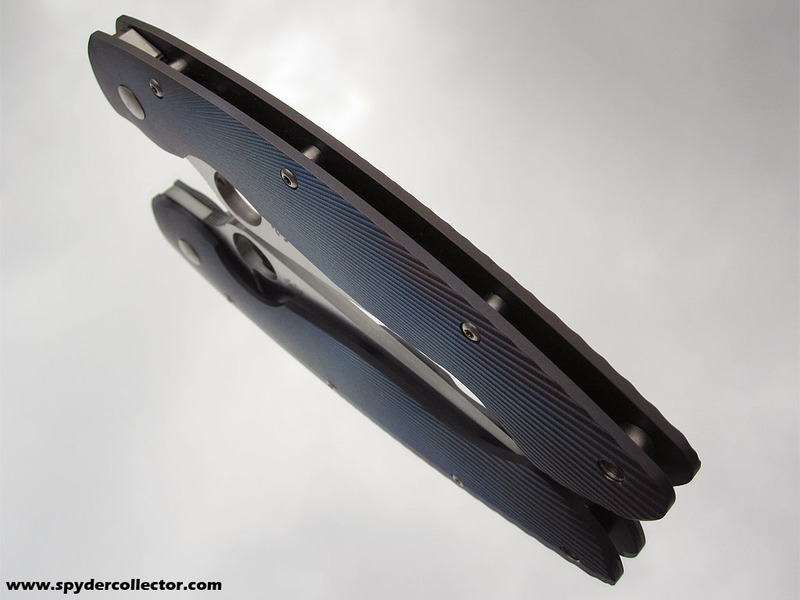 The first titanium Military was a solid piece, a tad heavier than most expect from a titanium handled folder. I’m sure this is because the handle on the Military is much bigger than most other production folders. The fluting removes a lot of the weight. 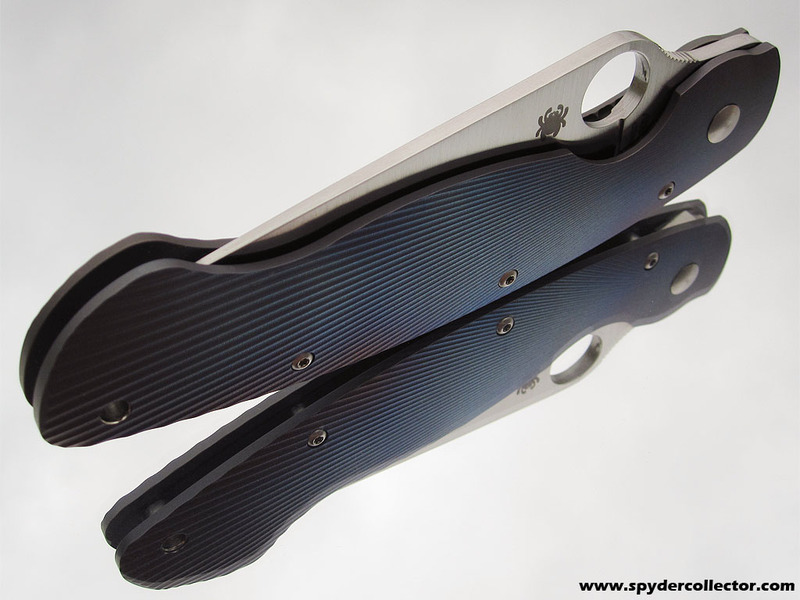 To me, the fluted Ti Millie handles like a regular g10 Millie. I showed the knife to a few non-knife people and they all agreed that it was a ‘pretty’ knife. At least that’s one thing we agreed on when it comes to knives. The lock on my version doesn’t feature the steel inset in the locking bar. It’s not an issue on this specimen, the lock is perfect and it hasn’t travelled since I got it. It probably went through a hundred or more opening/closing cycles over the past two weeks. 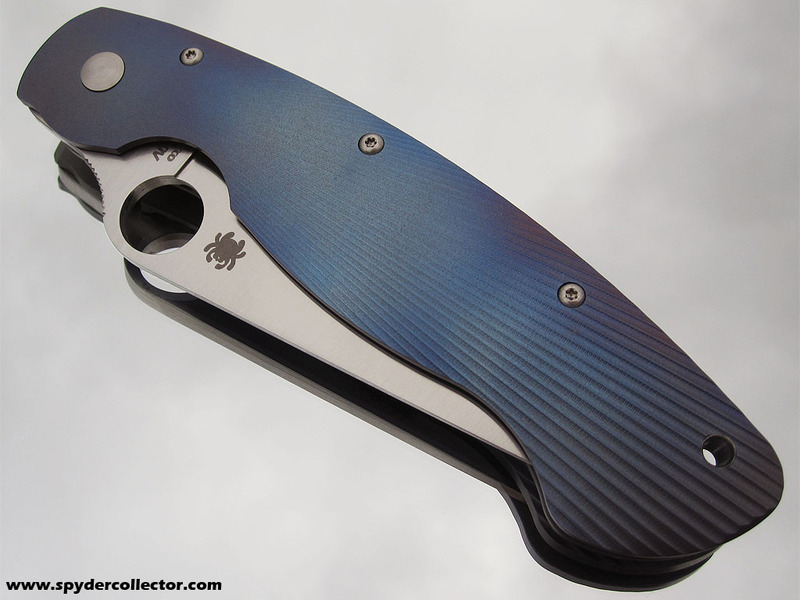 The blued anodizing is done by hand and has held up fine so far. The knife has seen about two weeks’ worth of pocket time and has been washed and rinsed thoroughly after some kitchen chores, the bluing hasn’t faded yet – but it’s still early. I did give the knife its first sharpening session yesterday. Not that it really needed it, but the edge wasn’t quite how I want it – so out came the Sharpmaker. 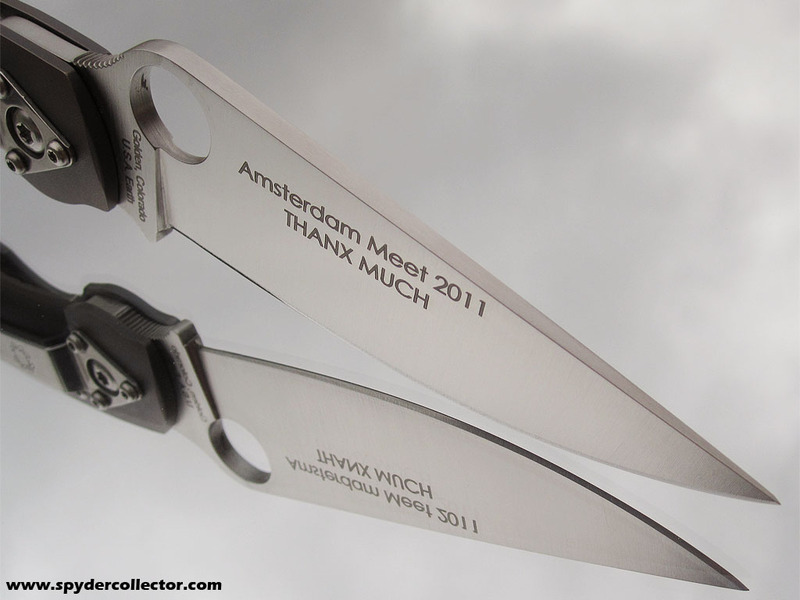 And this is what makes this knife extra special to me; it was a gift from the Spydercrew for my work on the report of the new prototypes since the Amsterdam Meet. To which I can only reply: “You’re more than welcome, and thank you! Wow, seriously?! What a gorgeous Military!” Generally, I don’t like to show off, but for this one I make an exception. I think you’ll understand. 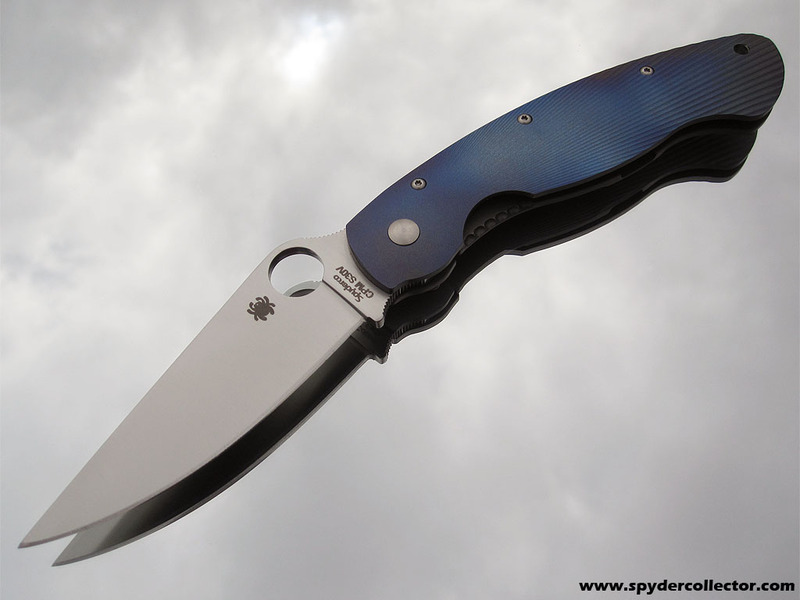 If you like the Military design, this is the knife for you. The venerable design has been proven thoroughly over the years. The titanium handle adds a more durability and lock strength, while the fluted design and bluing add sophistication and class. Moreover, the fluting process also results in a rounded or ‘ 3D’ handle, it’s more comfortable to grip than the flat G10 slabs. 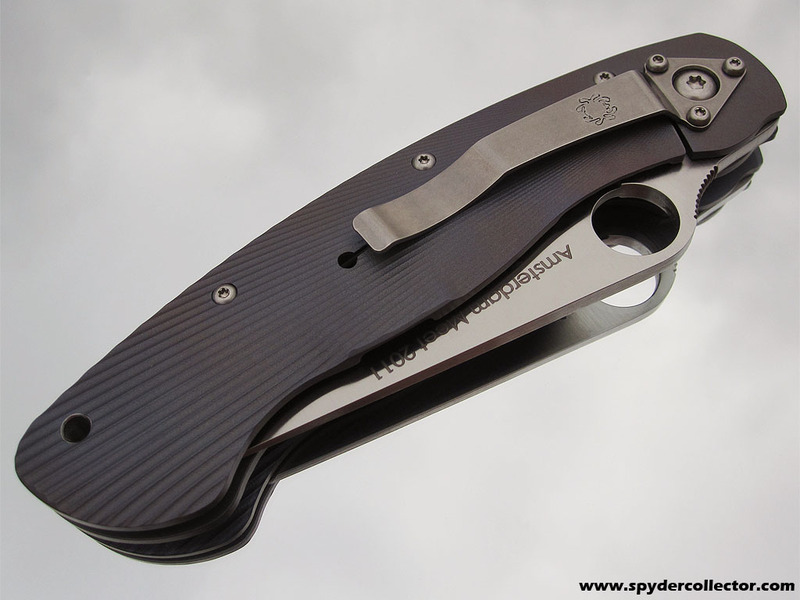 Best of all, the weight and feel in the hand is close to the lightweight G10 version. 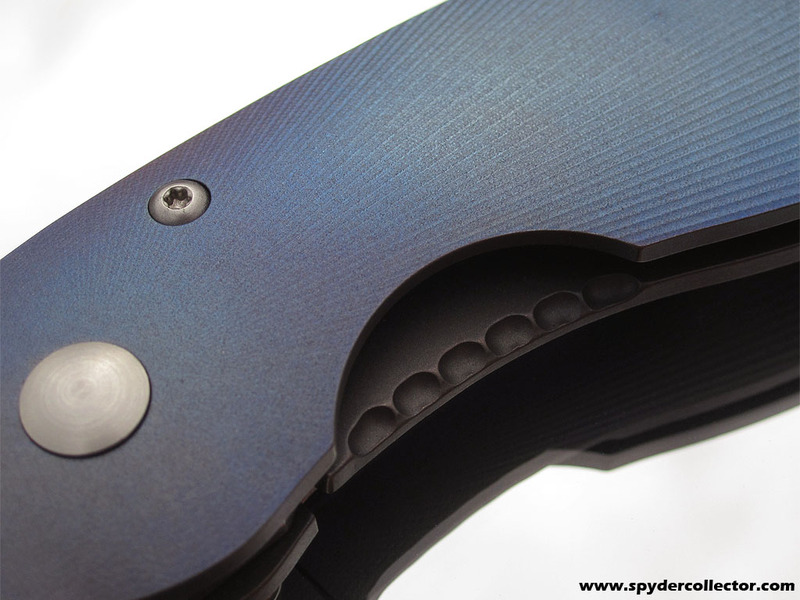 This is a special knife and it will be produced in small numbers. IIRC, about 50 pieces a month. 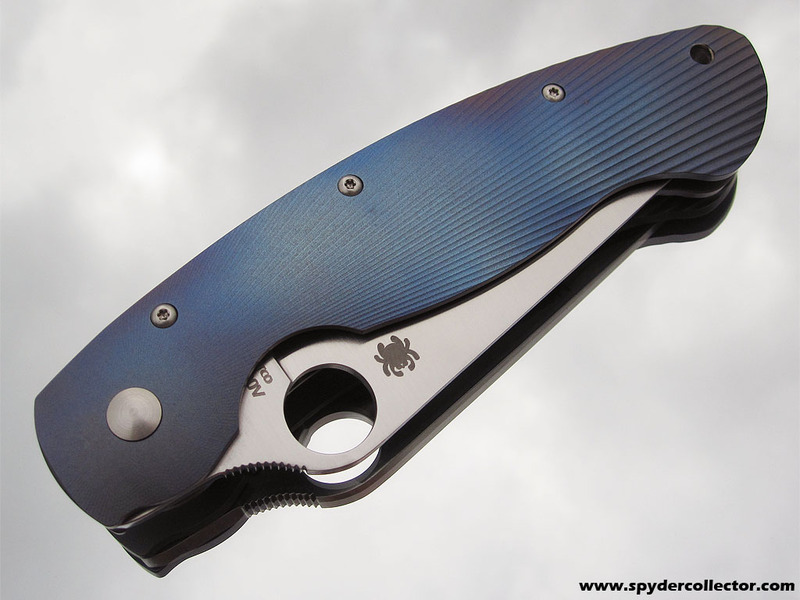 PS The inspiration to use a mirror as a background for these pictures came from fellow-spyderknut Whynot on the Spyderco Forums, check out his amazing picture-thread. This entry was posted on Sunday, April 3rd, 2011 at 11:08 am and is filed under Collectibles. You can follow any responses to this entry through the RSS 2.0 feed. You can leave a response, or trackback from your own site. very nice Military, nice color also. do I still have to say “great pictures”…..chapeau. What a beautiful knife and a special gift! This is an awesome Military, Wouter, I’m sure you will enjoy it for a long long time. Also I think the photography is outstanding – a beautiful set of pictures to accompany a very nice review. Indeed a nice looking millie. Great review.